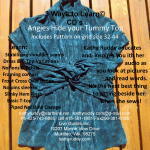 Kathy’s CD’s with pictures, words and audio follow her projects from inspiration to finished item. Kathy educates and inspires you with her audio as you look at pictures and read words. It’s the next best thing to sitting beside her when she sews! $15.00 ea. 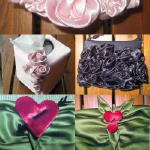 Order Four or more $10.00 ea. 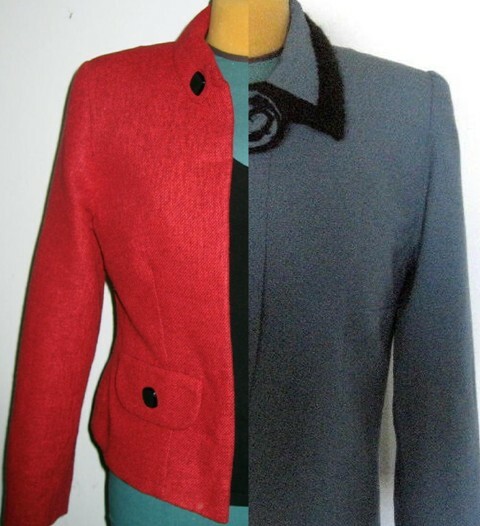 A jacket is a perfect cover-up, so Kathy learned how to make them in as little as 3 hours using her “quik”sew techniques and fusibles. 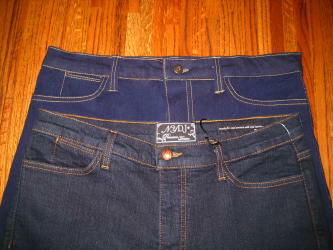 Learn what you can do on the inside to make the outside of your jackets smooth, balanced and perky. Learn interfacing, underlining, shoulder shaping, sleeve installation and lining plus details like collar trims, fabric flowers and flap pockets. Kathy will show you how pick and size patterns to four-way stretch fabrics with different ‘negative ease’, how to resource fabrics and notions introducing "Filpar" elastic from Italy and special seaming techniques for both sewing machine. Learn how to copy yoga yokes from finished garments and then fit them to your leggings for a custom fit. This CD includes 7 pattern sizes on a printable page of patterns on grid that need to be enlarged to a 1" scale. Instructions cover how to use these patterns to sew with knits in general, seaming, hemming, cutting etc. You can use these patterns for basic T-Shirts, two kinds of tops and two kinds of dresses in easy to sew, easy to fit knits. 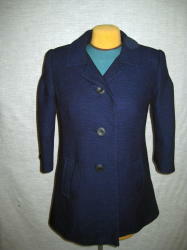 Watch and listen to Kathy as she shows you the tips and tricks of Tailored Jacket Techniques Swing & Pleated Jacket. 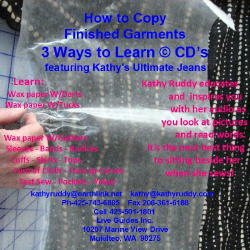 Watch and listen to Kathy as she shows you the tips and tricks of how she copies and makes patterns from finished clothes. Watch and listen to Kathy as she shows you how to redesign a jacket neckline and front Rouching closure. 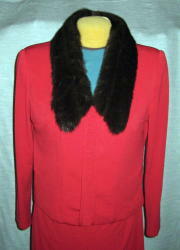 Sew a simple pull-on pant and make a removable fur collar. Watch and listen to Kathy as she shows you tips and tricks of how she turns a basic pull-on jean into Tummy Tuck Jeans with a special pocket that flattens your tummy and lifts your bum. 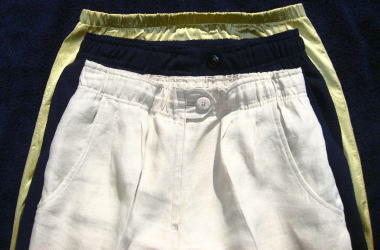 Watch and listen to Kathy as she shows you how to adjust a Pants or Skirt Pattern to have a waist cut 2" bigger than your waist and finished with Elastic for a comfortable waistline that allows your weight to fluctuate and still fit. Make Violet's Christmas Dress, Purse,& Hair Piece with instructions on this CD. All suitable for Beginners.Learn:Fabric Flowers,Tissue Box Cover,T-Shirt Flowers, Purses, Pillows,Cami Square,and Dress/Table Skirt.